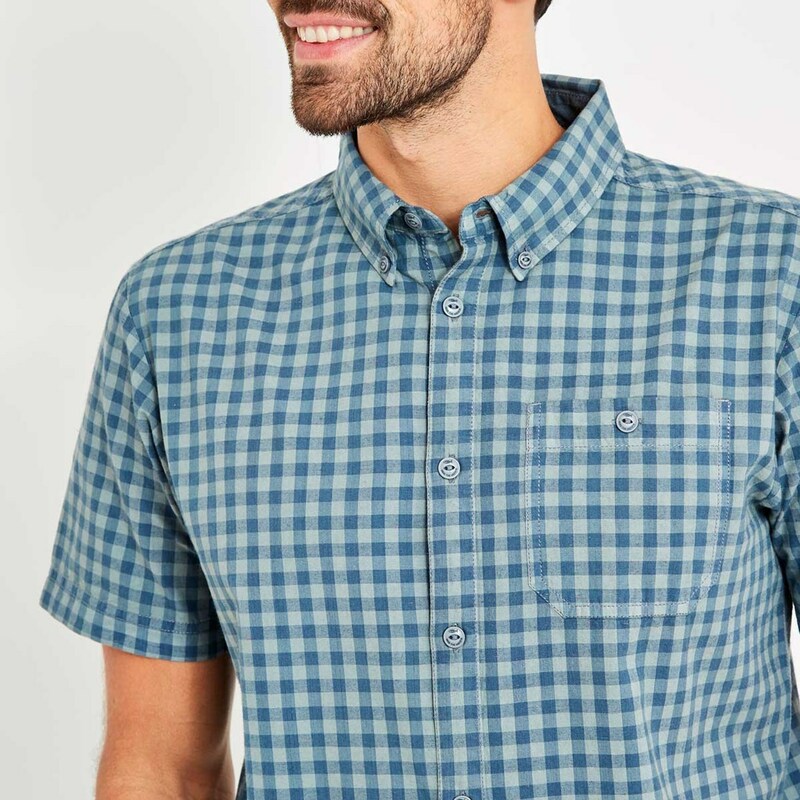 Our Newton gingham check shirt is our classically styled 100% cotton shirt, the perfect choice for when you want to look smart but still feel relaxed and comfortable. 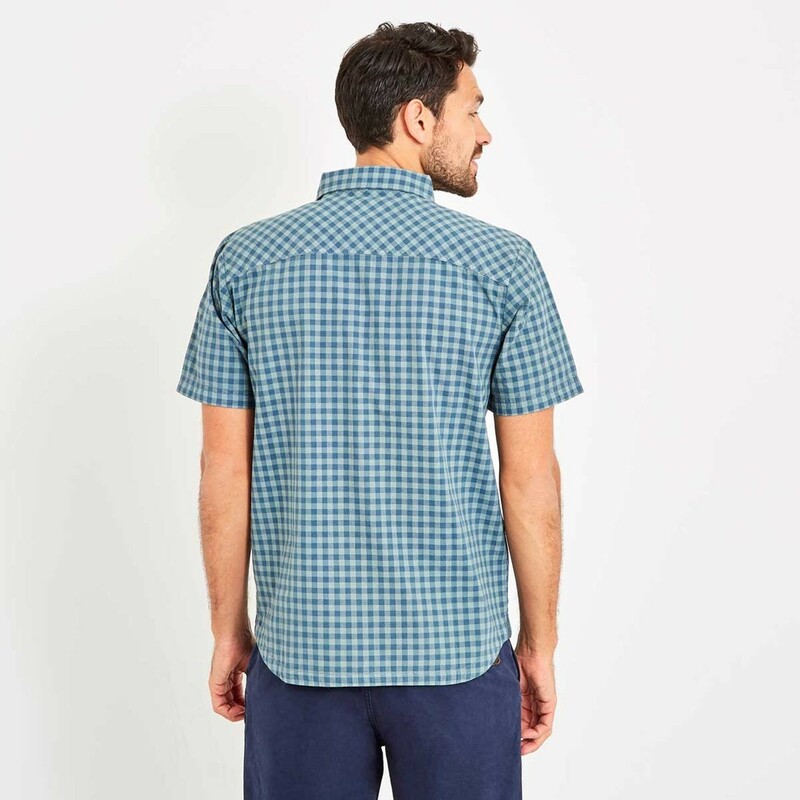 Featuring a gingham check throughout, and packed full of nice little design details we've made sure to add a Weird Fish twist to this classic shirt. Not only does it look great, but the Newton short sleeve gingham shirt provides all day comfort no matter what the occasion. Why not pair with your favourite jeans for an effortlessly stylish weekend look. Good...quality, value, fit and will come back for more. 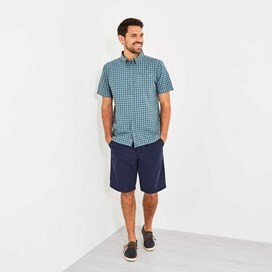 good fit and looks good with blue or grey. The colours of shirt are dull and not as the picture shows but overall when out the packet it looks better. Disappointed to find that this shirt did not fit my husband, as the 2XL in T-shirts is fine. 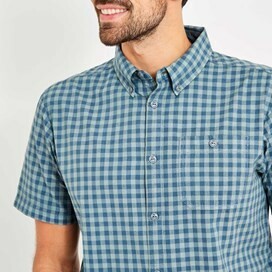 Otherwise the shirt is good quality and a nice design, so would be perfect.